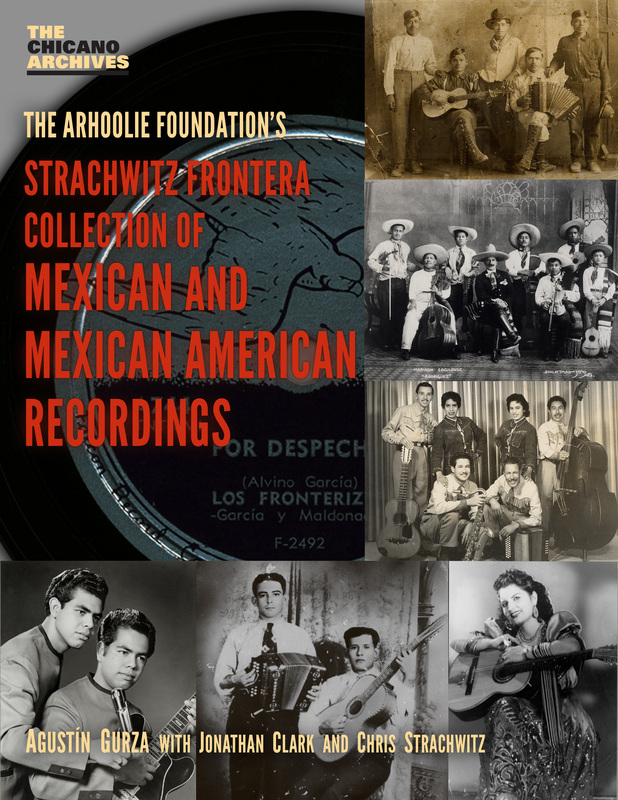 The Arhoolie Foundations’ Strachwitz Frontera Collection of Mexican and Mexican American Recordings, by Agustín Gurza, volume 6 in the Chicano Archives book series from the UCLA Chicano Studies Research Center Press, was released in 2012. Theaward-winning book is based on an archival project initiated by then CSRC Director Guillermo E. Hernandez: In October 2001, Hernandez started the process to digitally preserve the Arhoolie Foundations’ Strachwitz Frontera Collection, the largest repository of Mexican and Mexican America popular and vernacular recording in existence. It contains over 100,000 individual recordings. Many are rare, and some are one of a kind. Although border music is the focus of the collection, it also includes notable recordings of other Latin forms, including salsa, mambo, sones, and rancheras. The recordings have been digitized with the help of the UCLA Chicano Studies Research Center and are available online through the University of California’s Digital Library Program. In this book, Gurza explores the Frontera Collection from different viewpoints, discussing genre, themes, and some of the thousands of composers and performers whose work is contained in the archive. Throughout he discusses the cultural significance of the recordings and relates the stories of those who have had a vital role in their production and preservation. Rounding out the volume are chapters by Jonathan Clark, who surveys the recordings of mariachi ensembles, and Chris Strachwitz, the founder of the Arhoolie Foundation, who reflects on his six decades of collecting the music that makes up the Frontera Collection.